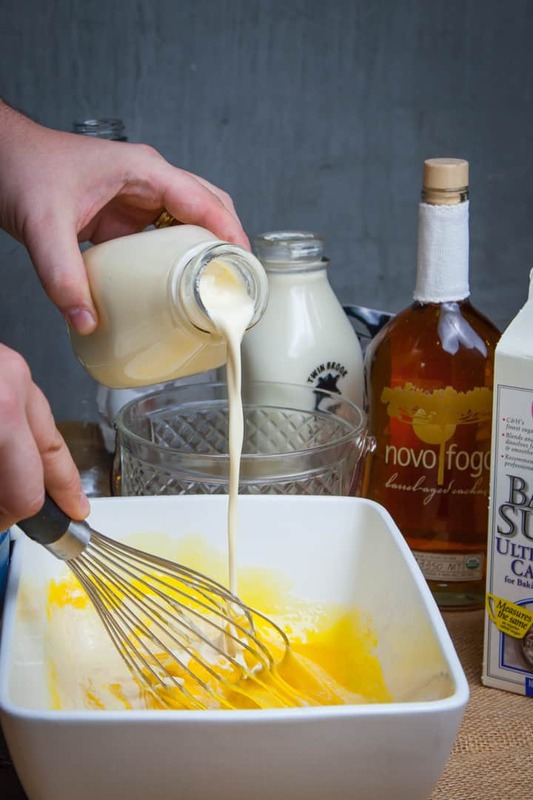 Scratch eggnog is not a cocktail — it is a baking project. 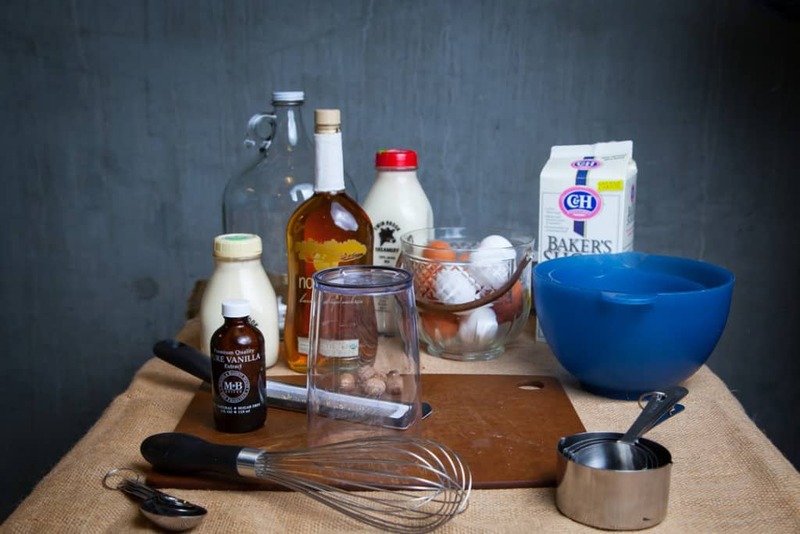 So take heed mixologists, you are now in the baker’s world. You may no longer improvise, you will require extra tools, and the techniques are different than the usual tricks of the bar. But worry not, you won’t have to get up at 3AM like a baker to make a quality ‘nog — you’ll simply need to set up an extensive mise en place and follow instructions with great specificity. Lay out all of your ingredients and get ready to get ready, because you’ll be here for a while. But you wanted to do this the hard way, right? Perhaps you should pour yourself a beer. 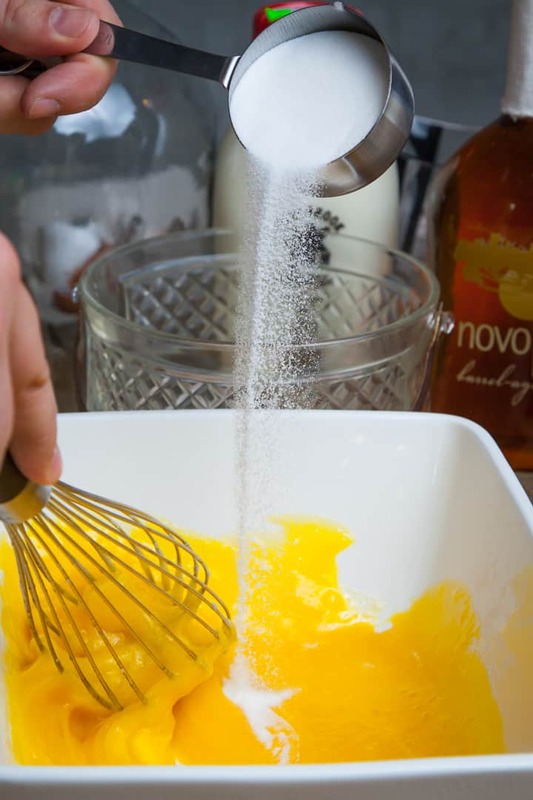 Start by separating egg whites from yolks. Separate the eggs one at a time, letting the white fall into the small bowl. Empty the bowl after each separation — in case you accidentally drop a shard of shell or a broken yolk, you won’t have to start over. Put the yolks in the large bowl and the whites in the medium bowl. If you want to buy whites and yolks separately, well, you are reading the wrong recipe. 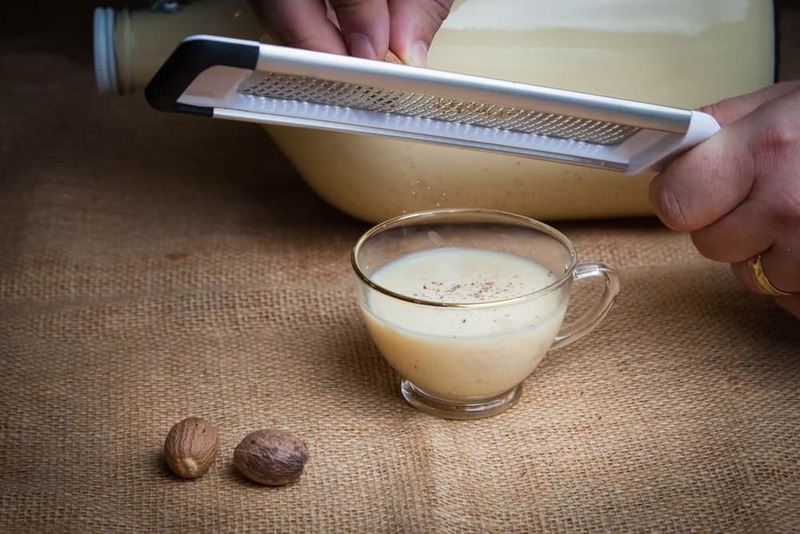 Please see our recipe for “Easynog.” This recipe is for the true of heart, the pure of soul, and those who yearn to fold a little love into their project. Speaking of which, the next step is to grab a whisk or a mixer and begin the process of “folding in the love.” This is when your friend can help because there are two jobs that are best done together: one of you slowly adds 1 1/3 cups of superfine sugar to the yolks while the other vigorously whisks until the sugar is completely dissolved. 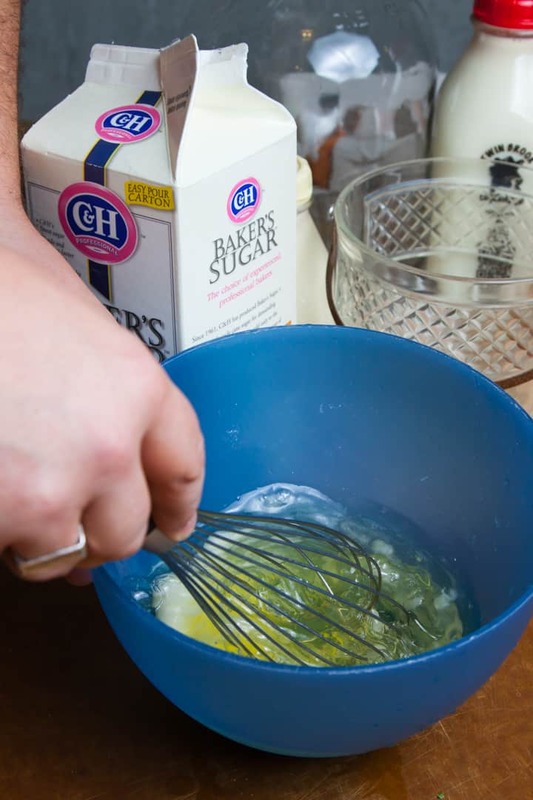 Then slowly whisk 1 pint of heavy cream, 1 quart of whole milk, and 1 tablespoon of vanilla extract into the yolk-sugar mixture. 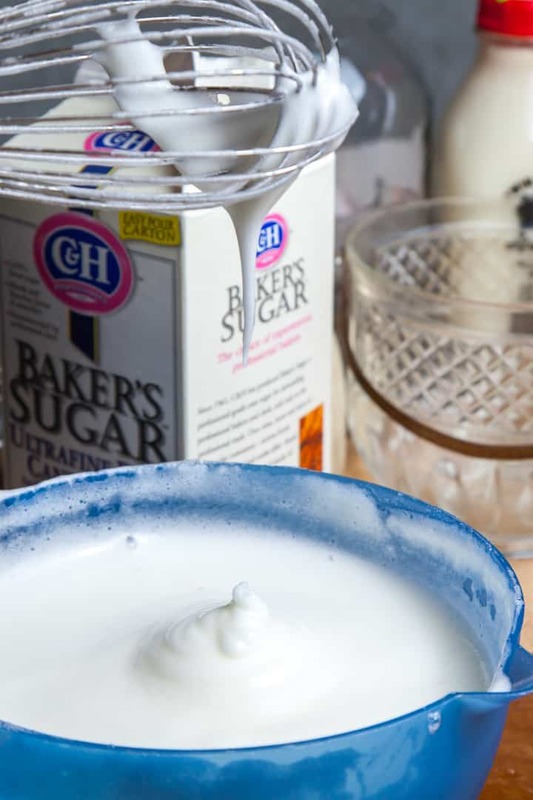 In the medium mixing bowl containing the egg whites, add 1 tablespoon of superfine sugar and beat the whites until stiff peaks form. What do these “stiff peaks” look like? 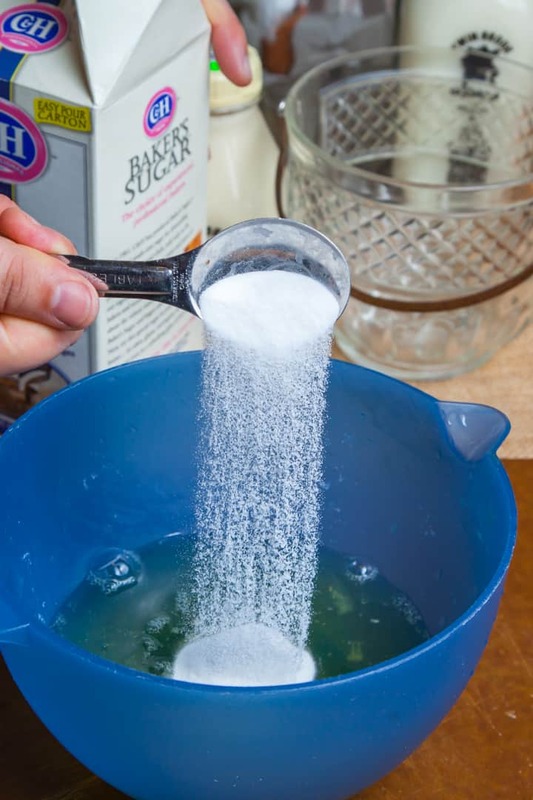 By the time you are done beating the egg whites, they should take up about five times more volume than their original state and be able to hold their foamy shape even without a bowl. The delicate and tedious work is now done, and now you are cruising downhill! 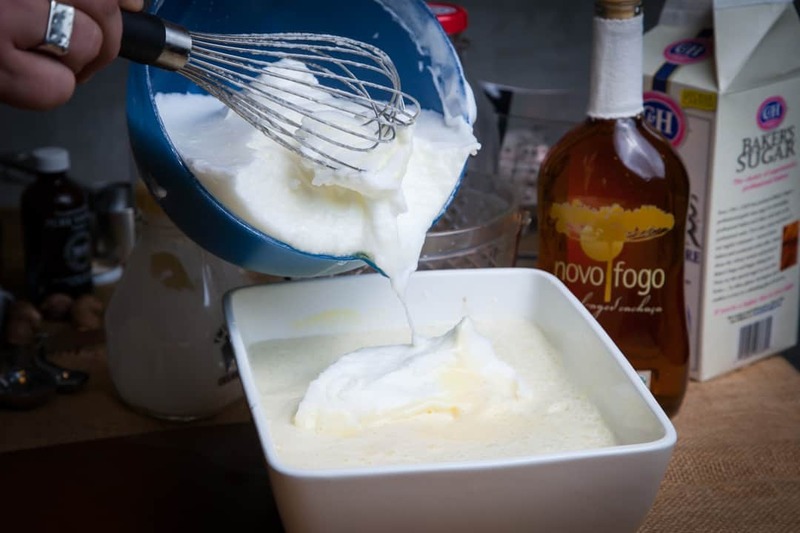 Fold the beaten egg whites into the yolk and cream mixture in the large bowl. When you are done, congratulate yourself, because you have now made a beautiful eggnog suitable for teetotalers and minors. 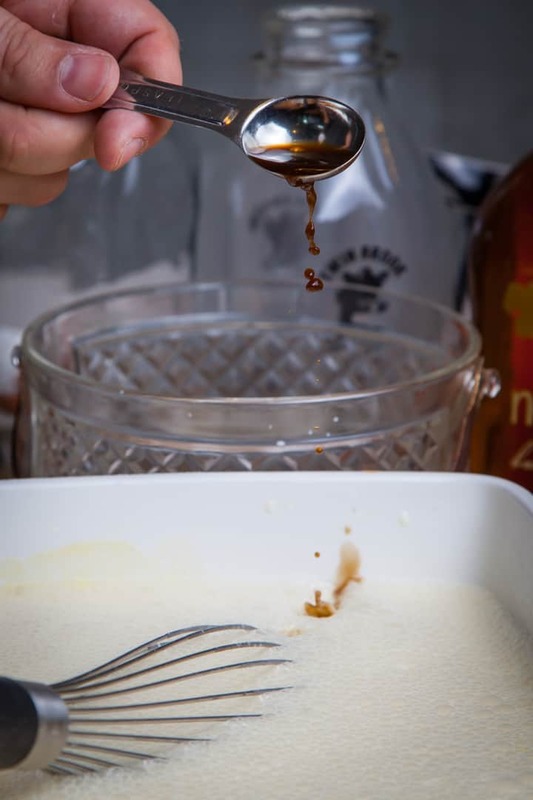 But, unless you impatiently want to go downward dog into a big bowl of boozeless ‘nog, you’ll likely want to transfer your eggnog into a receptacle to store in the fridge; as it rests, the flavors will come together nicely over a week’s time. This is again when it helps to have a friend: one person pours the mixture from the big bowl while the other person holds a funnel and the one-gallon jug. 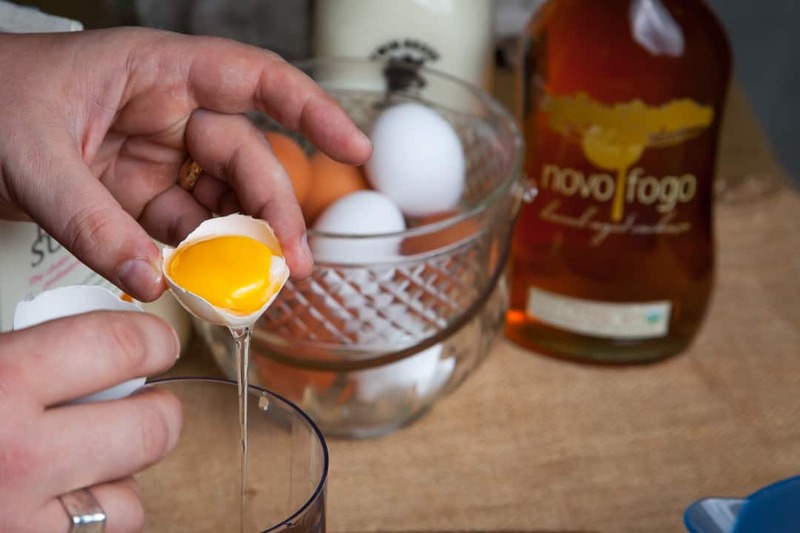 When the transfer is complete, you’ll find that there is plenty of room to add an entire 750mL bottle of Novo Fogo Barrel-Aged Cachaça right on top. 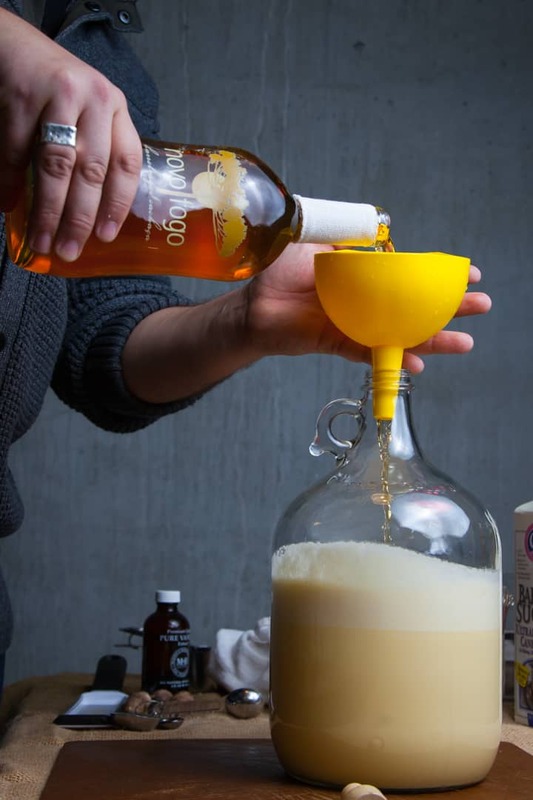 Screw the cap onto the jug and give it a hearty shake to combine everything. This is a slightly strong but very effective ratio of liquor to ‘nog that will keep you and your friends and family quite jolly all winter. One last note: when working with raw eggs, food safety is important. Wash your hands often and clean your workspace well when you are done. 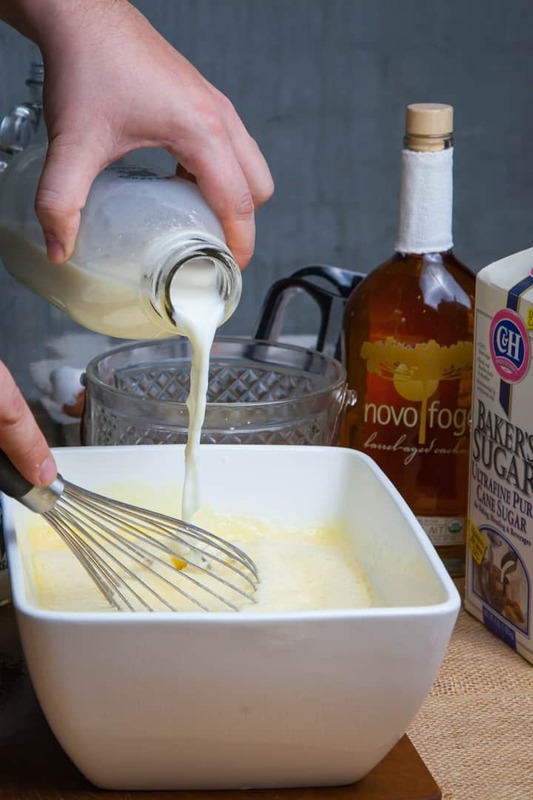 Your cachaça eggnog is quite stable in the refrigerator, however, and using the freshest ingredients combined with alcohol and sugar will keep the eggnog preserved for up to a month or more in the fridge. 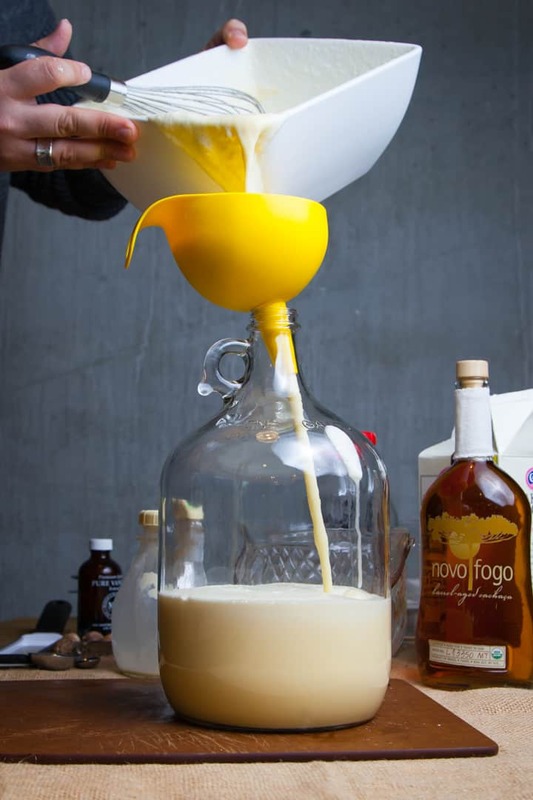 Ready to make your own cachaça eggnog?